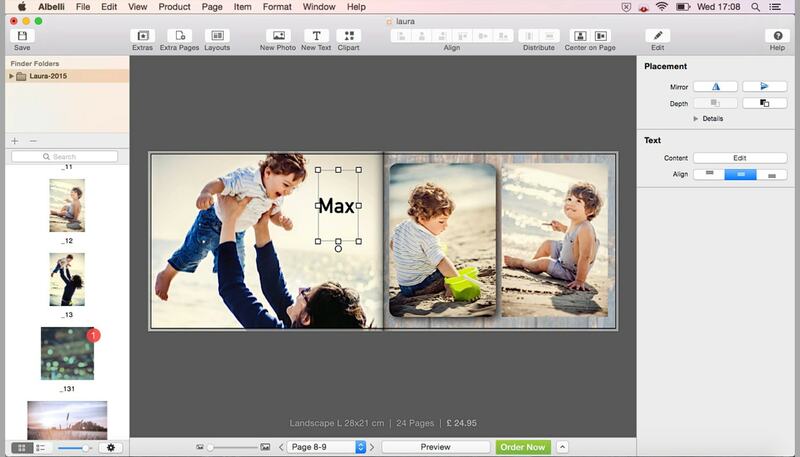 It’s now even more fun and easy to create your photo book! Thanks to your suggestions we’ve improved the creator tool for Mac. What’s new about version 3.0? By adding an editing pane on the right side of the creator tool it’s now even easier to find design options and to create your photo book. In the previous version, editing options for items were under the button ‘edit’ in the navigation bar. With version 3.0, all relevant editing options show immediately when you select an item (e.g. photos, clip art, text or pages). It’s now possible to horizontally or vertically mirror your photo. You can also define the exact placement and measurements of your photo under the button ‘Details’. When you click on the button between width and height, you can fix or unfix the ratio. 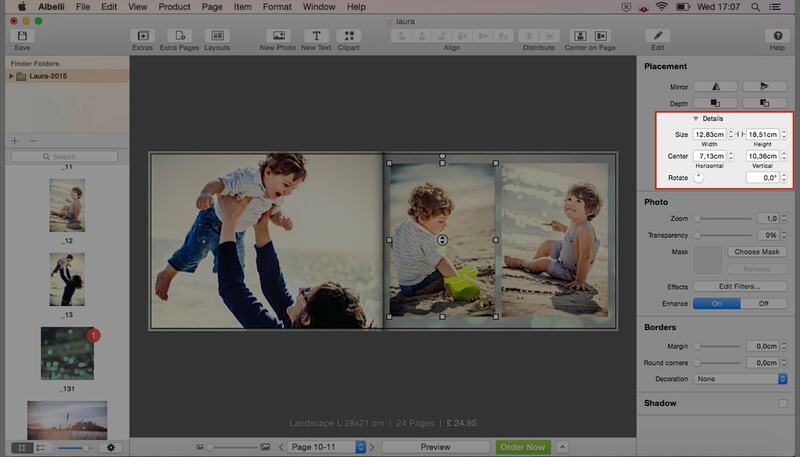 Tip: If you want multiple photos in the same size, first select them all and then define the size. Previously, there was one standard option for rounded corners. Now you can specify how round the corners of your photos are yourself. In this new version you can also define the offset, direction in degrees and blur of the shadow behind an item; where as before, it was only possible to set the angle and colour of the shadow. 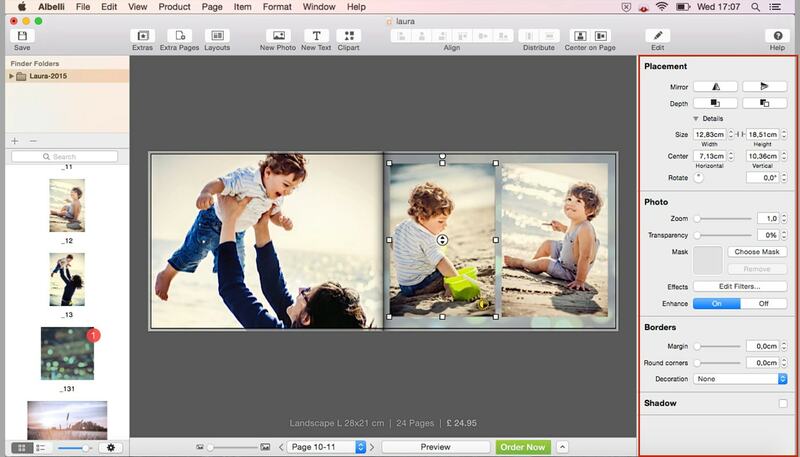 Thanks to the editing pane in version 3.0 all page editing options are now in one spot. So it’s even easier to design your pages. Choose from different page layouts and use an image or colour as background. In addition, you can adjust the transparency of your page. In version 3.0 you can now horizontally or vertically mirror your text and align it to the top, middle or bottom of the textbox.